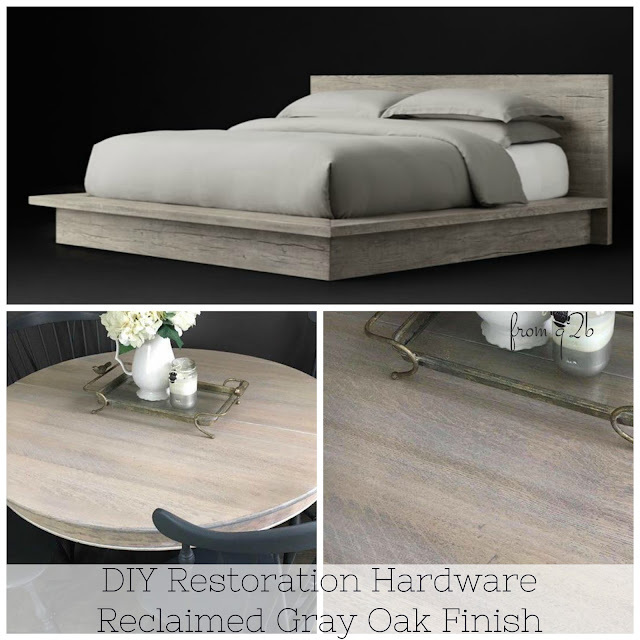 Today's project is sort of exciting, because before reactive stains we didn't have a way to create the Restoration Hardware finishes we love. Now in just a couple of steps, with minimal work, you can have the RH look in your home, and you don't have to spend $3K for one piece of furniture! So let's get to it, we are going to DIY the Restoration Hardware's Gray Oak Finish on oak, just like they do. 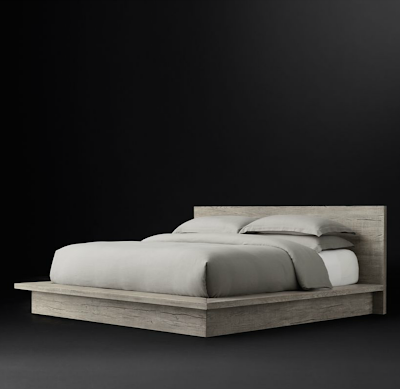 I love this bed from RH, but what I really love is the color. Those subtle gray tones with the white washed effect. 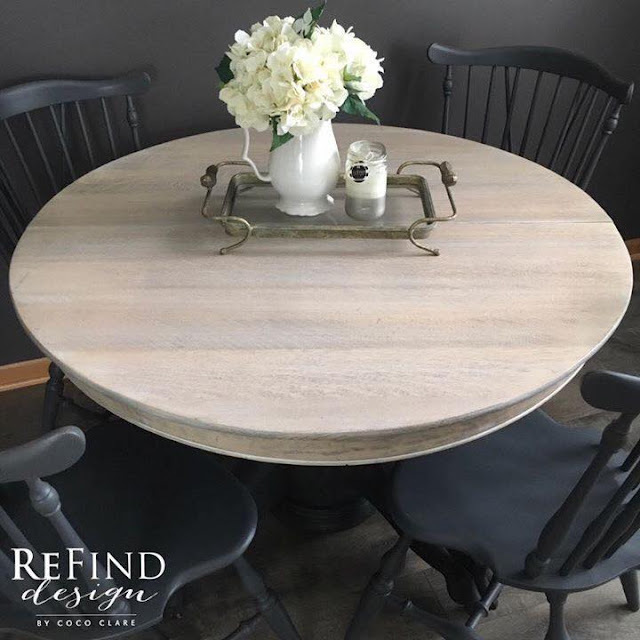 You can turn any outdated, oak table into something beautiful. Which is great, because there's a million of these babies floating around from the 80's and 90's. It shouldn't be too hard to get your hands on one, and at a good price. 1.] 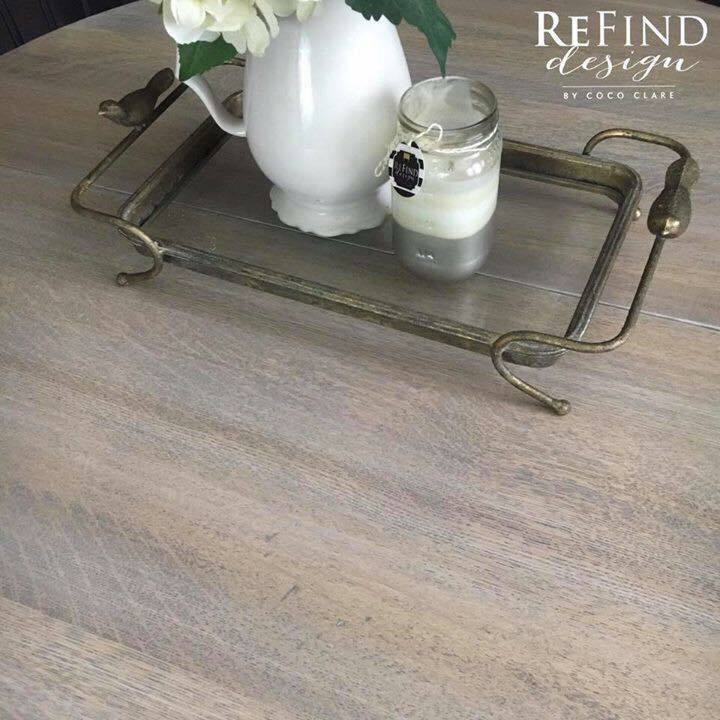 SAND: When the wood is smooth, you should sand it to open up the wood and help it accept the stain. Just sand it starting with a low grit sandpaper like 80 grit and a palm sander. The use a 120, don't sand over 120 grit if you want to use a reactive stain like this. 2.] STAIN: For a small project like this, a brush is the easiest application method. A sponge brush is you easiest way to control the stain because it's pretty runny. 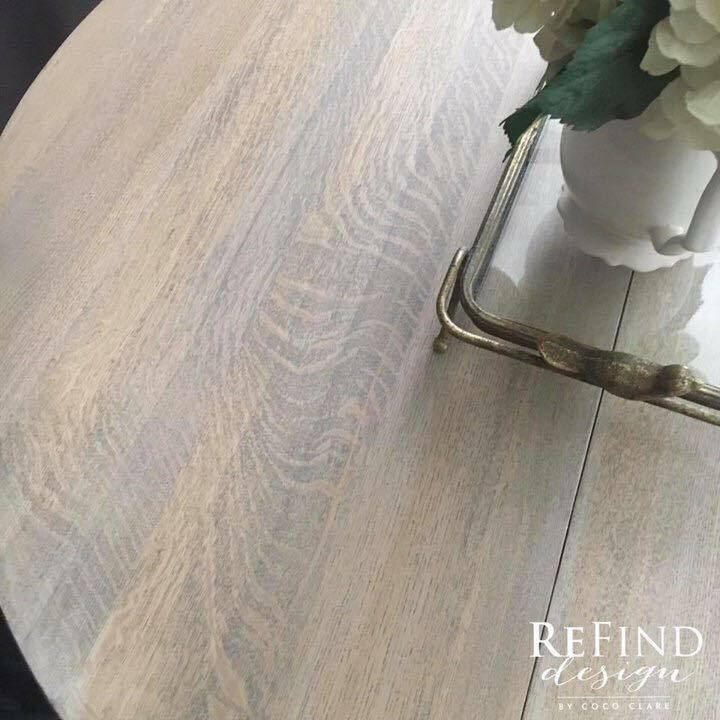 For stain we choose SALVAGE stain from Weatherwood. 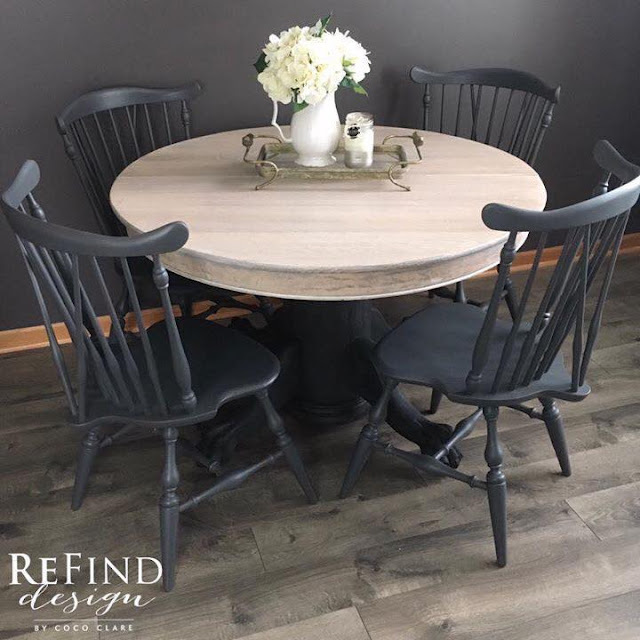 This will give you a light weathered look, light grays and browns on oak. The wood will dry in about 30 minutes, see in the videos below. 3.] WHITE WASH: To get and keep that white washed look, you'll want to use our White Maintenance Oil topcoat. You'll see an example in the above video. Use one rag to apply oil to the wood's surface, working boards by board or in 12-24 inch sections, working with the grain. 4. You can apply up to 3 coats of maintenance oil. Each coat will continue to lighten the finished product. 4.] PROTECT: The White Maintenance Oil is a maintenance product. So you will either want to apply annually or you can topcoat over it, which is what I would always do for tables, since you want extreme wood protect there. 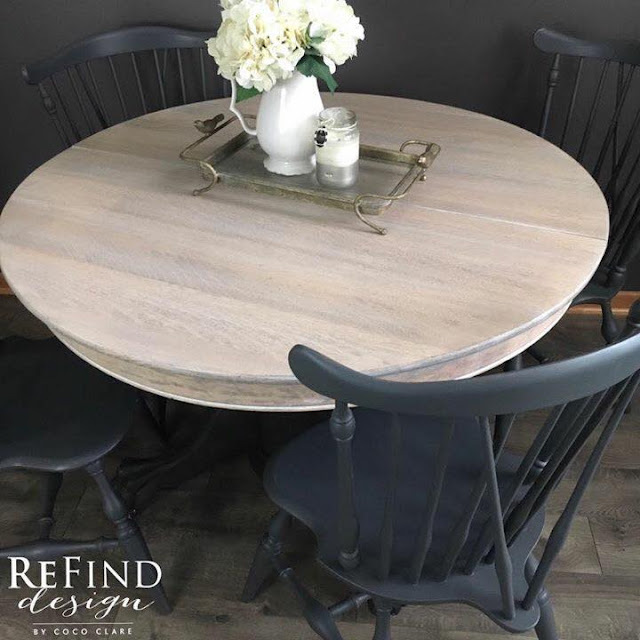 Use the VARNISH TOPCOAT for furniture, to seal the look for a maintenance free finished product. 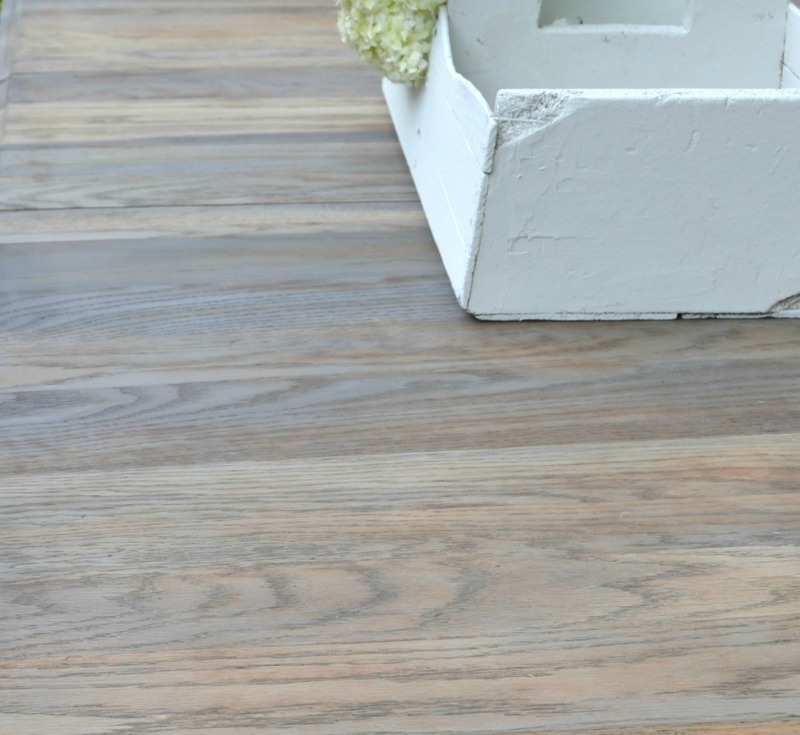 (For floors, you can do this too, but use the Polyurethane overtop). Last note, if using varnish overtop of the oil, you must wait for the varnish to cure the full 48 hours. Just brush on the Varnish as you would any topcoat, use a brush. Allow to dry 4 hours. 5.] PAINT: Paint the base of the table and chairs with a 1 step furniture paint. Something that can adhere over existing finishes, like this Pearl 1 Step Furniture Paint product. You can brush or spray on paint and allow it to air dry. Two-three steps may seem like a lot, but in the finishing world, this is as simple as it gets. 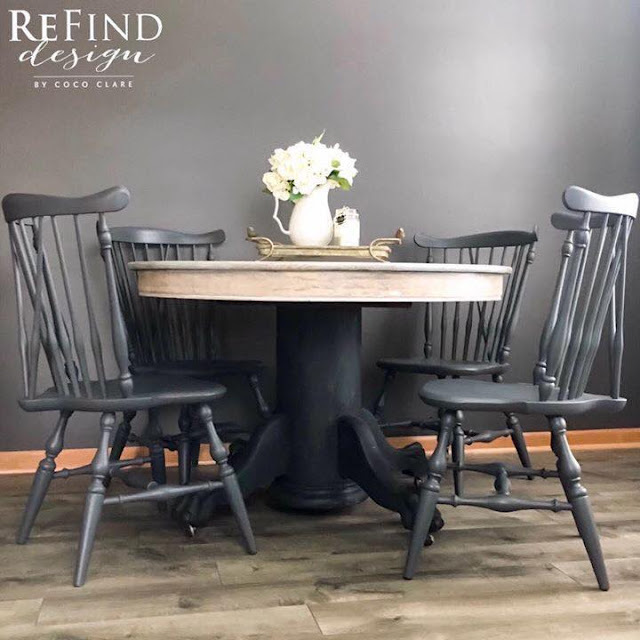 To achieve these colors with traditonal stains, like you would typically get at Lowes, you would need to buy 4-5 different wood stains, alone. Then you would have to apply layer after layer of stain, wipe on wipe off, wait 4 hours. Then the next then the next. Layering trying to achieve the natural grays and browns. It will never look the same as a reactive stain, it will always look like a poor substitution. So follow these simple steps and get the RH color you've been dreaming of!